What Is A Gypsy Life? Well, in addition to going traveling about every weekend, I have also been doing normal things around Tanjung Malim. That’s right: normal! The everyday things in Malaysia have become so normal to me that I don’t really even blog about them anymore. So I thought I would do that now! 1. Volleyball! The internationals have started up games of volleyball on the courts at night! We just all really love each other and go very easy on each other cause none of us are really super volleyball players. 2. The other day we all had this great family dinner that we made. I cooked up some garlic mashed potatoes (I’ve been getting potatoes at the Saturday Night Market and making food for everyone). Terese and Emilie cooked this delicious sweet potato soup and then Vicky and Leigh brought these super delicious brownies and caramel from their baking class. We all gathered around the veranda and listened to my new favorite pandora station: Faith (George Michael) Station. 3. Joske, Terese, and I have done a roomie lunch tradition a few times. We go the the best indian place across from Old Campus. They have this buffet, and I usually go vegetarian at that place to avoid questionable meat. They some truly amazing cabbage. I am obsessed. Next door is this very western and expensive frozen yogurt place that sometimes we indulge in! 4. This guy Badderal (I seriously have no idea how to spell his name) is this Malaysian artist guy that Vicky and Leigh met and some people had been back to his house. 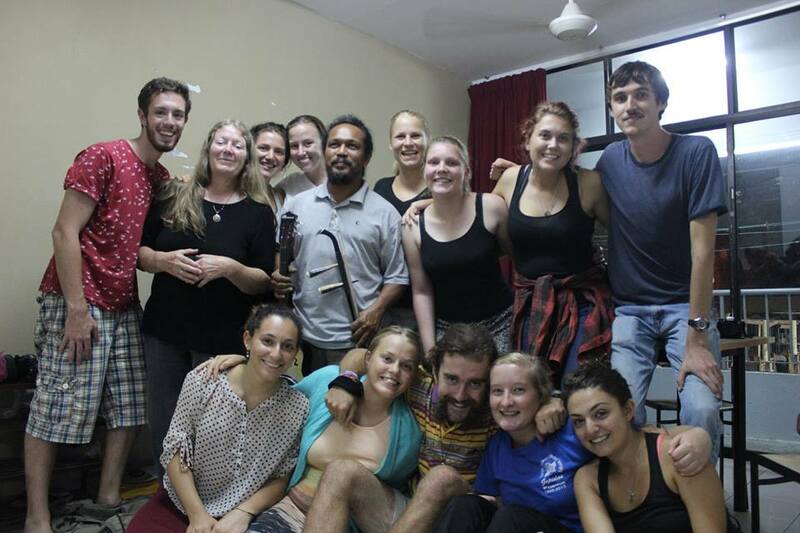 He came to KAB to visit us and they made more brownies and gave him some musical instruments. And he gave us all these beautiful hand-carved wood things. Not a big deal, I’m just going to be so freaking sad to leave all these people. 5. Choir class is still a freaking hoot! Our professor is insane and very Bulgarian, and the students can’t sing a note in tune! Regardless, I have so much love for my classmates. The two girls next to me are hilarious. They said Austin is cute like Justin Bieber. 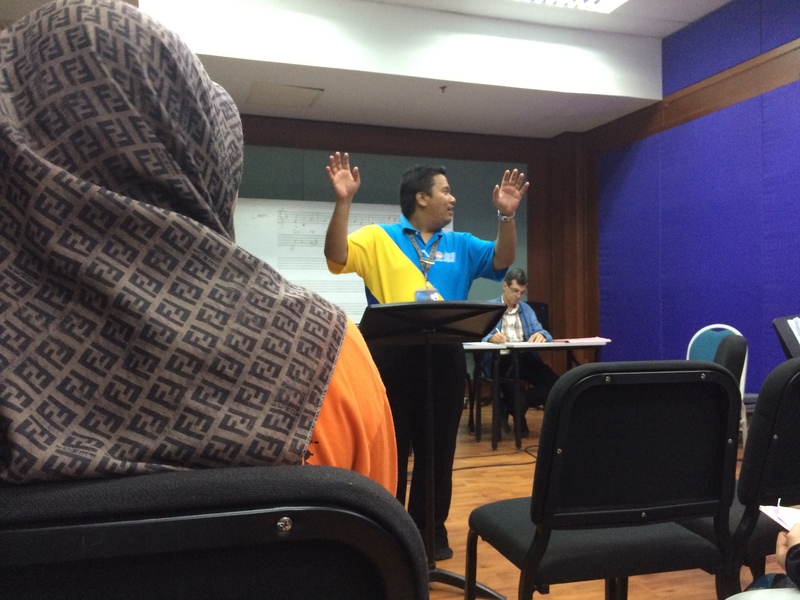 There’s this fat Malaysian guy that the professor calls “Ali Baba” and here’s him doing to mandatory conducting exercise. I’m still loving it! All of my classes are ending and soon it will just be me and traveling!